If you’re all booked up and ready to fly to out on a tropical Siamese break this summer, there’s likely to be one tiny niggle on your mind: the Thailand monsoon season. Will it ruin your holiday? Specifically, you’ll want to know if it’s going to be raining so hard that you might as well have spent a couple of weeks in drizzly Milford-on-Sea (or another appropriately rainy Western seaside resort) instead. 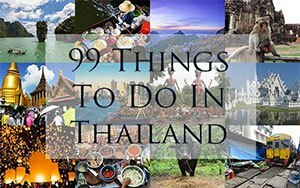 First things first — most tourists who visit Thailand during the rainy season have a brilliant time, regardless of weather. And many don’t even get that wet! What is the Thailand monsoon season? Unlike much of the West with its four reliable seasons of winter, spring, summer and fall/autumn, Thailand has just three seasons: hot, cool and rainy. The rainy season is caused by the southwest monsoon that starts in India, before sweeping a continual stream of high pressure, moist air from the Indian Ocean towards Thailand. The monsoon also coincides with Thailand’s positioning in the Southeast Asian tropical rain belt – also known as the Inter Tropical Convergence Zone. This means potentially even more rain and tropical cyclones. When is the Thai rainy season? The timing of the season varies a little depending on where you are in the country – Chiang Mai does not have the same rainy season as Koh Samui, for instance – but generally the rains start around June and stretch out to October. Some places are much rainier than others. Ranong, in the southwest of Thailand, for instance, is the wettest province in the country with a rainy season stretching from April to November. However, the seaside resort of Hua Hin on the Gulf of Thailand only really has two notably rainy months – September and October. Let’s examine some areas a little closer. The capital of Thailand generally sees the rainy season start in late June or July, peak in September and phase out in October. The rain starts sporadically with a few one-off storms and often some notable rainfall overnight, before ramping up to regular heavy rain. It won’t necessarily rain every day and very rarely all day, however, and as long as it doesn’t flood too badly, the city is still perfectly navigable. Bangkok still functions as normal during the monsoon, although you can expect an increase in traffic when the heavens open! Nearby resorts like Koh Samet and Hua Hin on the Gulf of Thailand don’t tend to get a huge amount of rain, so are a great place to escape too. Chiang Mai attracts plenty of tourists and travelers year-round, regardless of weather, and the towns and cities nearby – Pai, Mae Hong Son, Lampang and Chiang Rai – are also worth your time. Rains be damned! The Thailand monsoon season lasts a little longer in the North than in Bangkok, generally starting in May and continuing until late October and November. July and August are particularly wet. While there shouldn’t be anything stopping you from exploring the North during rainy season, be aware that you’re not in Kansas anymore. Outside of the urban centres is tropical jungle – at its peak lushness – and activities like trekking, hiking and rafting will be affected. Be prepared to get muddy and enquire in advance regarding availability. The Northeast of Thailand (known locally as Isaan) does not escape the monsoon but rainfall isn’t as heavy here as other areas. It stretches from May to October with 80% of the rains coming in August and September. In this region, Korat (or Nakhon Ratchasima) is the driest with the provinces furthest east bordering the Mekong River – especially Nakhon Phanom – plenty wetter. The major cities function as usual during the monsoon season but you may find some of the mountains and other trekking attractions closed until the rains ease off. Flooding is common and landslides can and do occur here. Koh Chang and the other beautiful islands off the coast of Trat are undeniably beautiful but can be exceptionally wet during the monsoon season which runs from late May to late October. We’re talking rain practically every day, particularly in June, July and August. While that means prices are comparatively much cheaper during this time, your activity options are constrained: the beaches will be overcast and wet (at least during the storms) and choppy waters means that diving and snorkelling may be limited. Trekking could also be problematic, with possible threats of landslide. The islands will be much quieter though — swings and roundabouts! Many travelers head to Thailand’s southwest region to take advantage of the glorious beaches, relaxed way of life and beautiful islands. This region is popular whatever the weather, home to Phuket, Krabi, Koh Lanta, Khao Lak, Koh Phi Phi and many more hot spots. May to October sees the Thailand monsoon season sweep into the Southwest, with September bearing the brunt of the rains. It does get pretty damn rainy here, thanks to the region’s proximity to the Andaman Sea, and many of the smaller islands more or less shut down during the monsoon. Be aware that island crossings on longtail and speed boats are likely to be choppier than usual in the monsoon. Koh Samui, Koh Phangan and Koh Tao in the Gulf of Thailand are some more of the country’s most appealing islands, attracting a multitude of tourists regardless of weather. Unlike the rest of the country, the Thailand monsoon season doesn’t hit Koh Samui until later in the year, with the rains coming in during October to December, peaking in November and tailing off in January. Temperatures are still high and the rain is unlikely to hit every day, however. 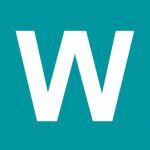 How will the Thai monsoon season affect me? While it’s easy to imagine the rainy season being nothing but continual torrential downpour for a few months, that’s simply not true. Most people who visit Thailand during the wet season have a brilliant time, regardless of weather — and a Thai monsoon is quite a spectacle to behold anyway! The strength and intensity of the rains vary greatly depending on a variety of factors – including where you are in Thailand. The monsoon rains tend to be short, intense bursts of rainfall. They could last for a few hours in the middle of the day, but they could just as easily be over within about 15 minutes in the early evening. If it’s particularly torrential, you may find that a few tourist activities are curtailed or delayed if the operators think that there are undue health & safety risks, or threats of landslide. While some activities won’t run at all during the rainy season – for instance, liveaboard dive trips to the Similan Islands – many will run as usual, especially those in the high traffic tourist areas. Some of the smaller and less touristy islands in the Southwest of Thailand, particularly those on the Andaman Sea and those off the coast of Trang, more or less entirely shut down during the rainy season. Make sure you do your research before you go! Koh Samet, off the coast of Rayong in the Eastern Seaboard, generally gets only modest rainfall during the rainy season and is just a hop, skip and a jump away from Bangkok. Koh Samui, Koh Phangan and Koh Tao are usually the driest islands to visit from May to late September. It floods very easily in Thailand. 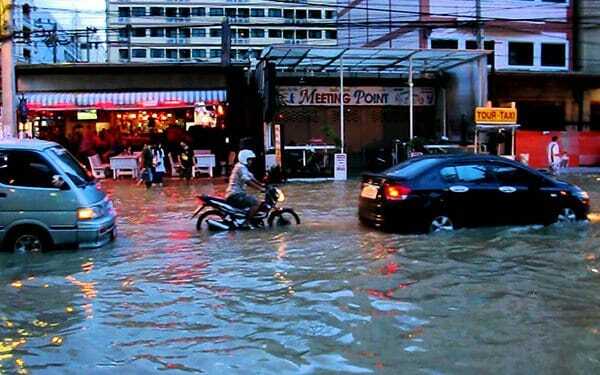 Bangkokians rolling up their trousers, taking their shoes off and wading through the floodwater is a not-uncommon sight. Hotels and flights are often cheaper during rainy season as it also marks Thailand’s low season. The rain can bring out the creepy crawlies — including mosquitoes, snakes and rats. Be vigilant! Ultimately, the weather is pretty unpredictable. We’ve had beach holidays in Krabi in September that were almost totally dry, and also have been marauded in a Bangkok storm in April at the peak of hot season. That’s weather for you! If you find yourself in Bangkok in the midst of a storm, fear not – there are plenty of things to do here in the rain. Check out our guide on what to do in Bangkok when it’s raining.